You’ve no doubt heard or read in the past few weeks that Facebook’s (s fb) hyperinflated valuation heading into its IPO has everything to do with its promise, and very little to do with its actual profits. That much is true. But apart from the fact that it has more than 900 million users, a lot of other important numbers never get mentioned. Here are some numbers we know about Facebook’s infrastructure that also speak to its promise as a company that could generate a lot of money. 100 petabytes of users’ photos and videos. If it were all photos, that would be more than 666 billion of them. 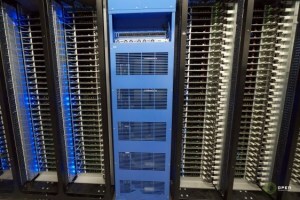 30-plus petabytes of user data in its Hadoop cluster, which is used as a giant data warehouse. $1.6–$1.8 billion on planned infrastructure spending in 2012. Google (s goog) usually spends between $2 billion and $4 billion a year, but bought in more than 10 times Facebook’s revenue in 2011. The overall server market was estimated at $52.3 billion in 2011, and Facebook’s Open Compute Project is trying to turn that market on its head by redefining how servers are built and sold at webscale. Facebook doesn’t disclose the number of custom-built servers it runs, but by this point it’s far more than the 60,000 estimated in 2010. It took Facebook less than 30 days to provision and bring online tens of thousands of servers when it fired up its Prinveville, Ore., data center. Is Facebook actually worth $100 billion? Who knows. But it’s a company with so much data and with its finger on the pulse of how web infrastructure works. Managed properly, there’s an awful lot there to work with as Facebook tries to figure out new ways to make a dollar. Data. So much juicy data. Unless FB figures out (quickly) a way to make money from that data things are only going to get difficult for the social giant. The recent results (along with decision by companies like GM to not spend any more on FB) are probably (or may be not) are indications of the things to follow. Also with more and more people accessing FB from hand held devices it does not make it any easy for the social giant. I think it can succeed with better ad targeting, although whether people view Facebook ads is another question. A Facebook Credits ecosystem could valuable, too: http://www.insidefacebook.com/2012/01/18/predictions-for-facebook-credits-in-2012/. But, honestly, I would try to leverage that infrastructure knowledge. There’s gold there. Spend billions, Spend billions more, figure out a business plan (or not), profit! Or not. It doesn’t matter because we are all rich by selling our stake.